Tiki drinks often taste like being clubbed over the head with sunshine. Juiced fruits from sunny places are combined with fermented sugar bits and poured over piles of crushed ice. This is fine, maybe even appropriate, but every drink doesn't need to remind us of a sunburn. We created the Mariner’s Ghost for rainy days when most beachgoers fold up the umbrella and bolt for the car. It’s grassy and warm, like the smell of the beach after an afternoon shower. 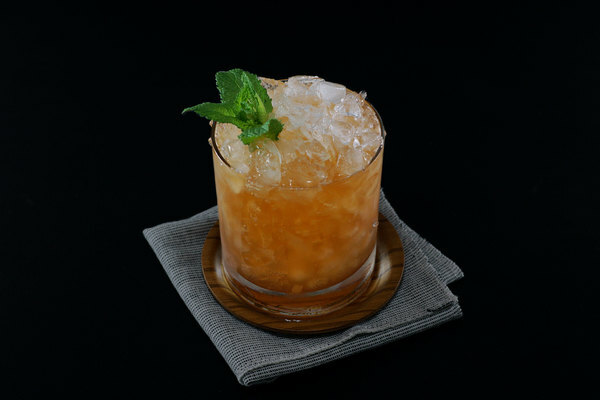 The Ghost’s stormy personality comes from an offbeat triumvirate of mango, grapefruit, and allspice dram. 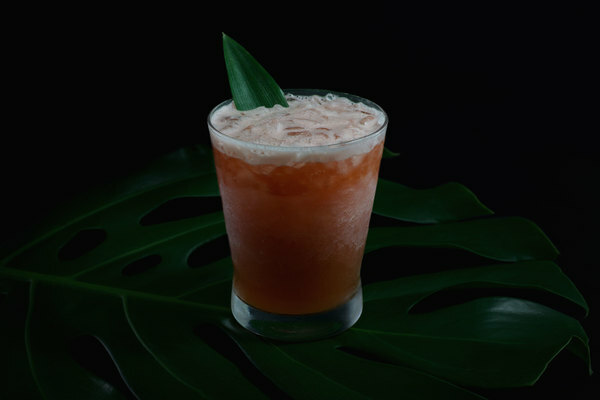 The mango and grapefruit are fruity like other tiki ingredients, but also earthy and complex. 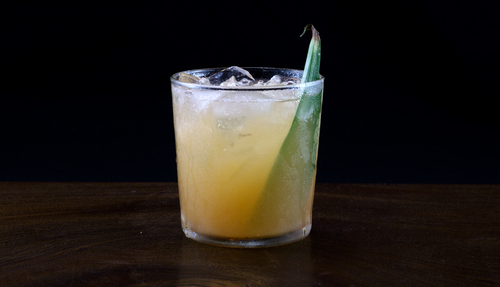 The allspice hides until the end of the drink, then shows up for a warm and spicy finish. It’s complex and surprising, yet still sweet enough to kiss your aunt on the cheek. While developing this recipe, we tinkered with a number of different mango ingredients. Mango puree was our favorite option: it adds texture, color, and a big punch of unique flavor. Mango jam makes a suitable substitute (use a tablespoon instead of an ounce), but if you can get your hands on a fresh, ripe mango, then definitely do the puree; just spoon the guts into a food processor and whir the stuff around for a couple seconds. If it seems a bit thick, add a drizzle of light rum. To complete the drink, mix all ingredients in a shaker with crushed ice, shake, and double strain into an empty glass. The puree can clog the strainer a bit, making an empty glass easier to work with. 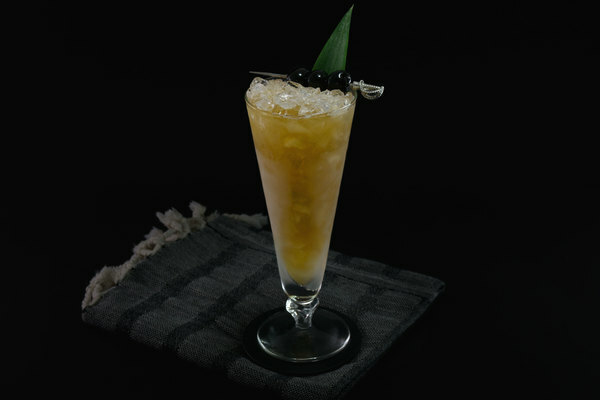 Once strained, fill the glass with crushed ice and garnish with a pineapple leaf or mango slice.